Anonymous, Indian (Rajasthan, Kotah), c.1800. 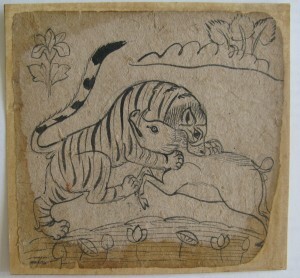 Tiger Attacks a Boar. 4 x 5 in. UCLA Grunwald Center for the Graphic Arts, Hammer Museum. Gift of Catherine Benkaim. The Grunwald Center for the Graphic Arts was recently the recipient of a generous gift of six Indian drawings from collector Catherine Benkaim. 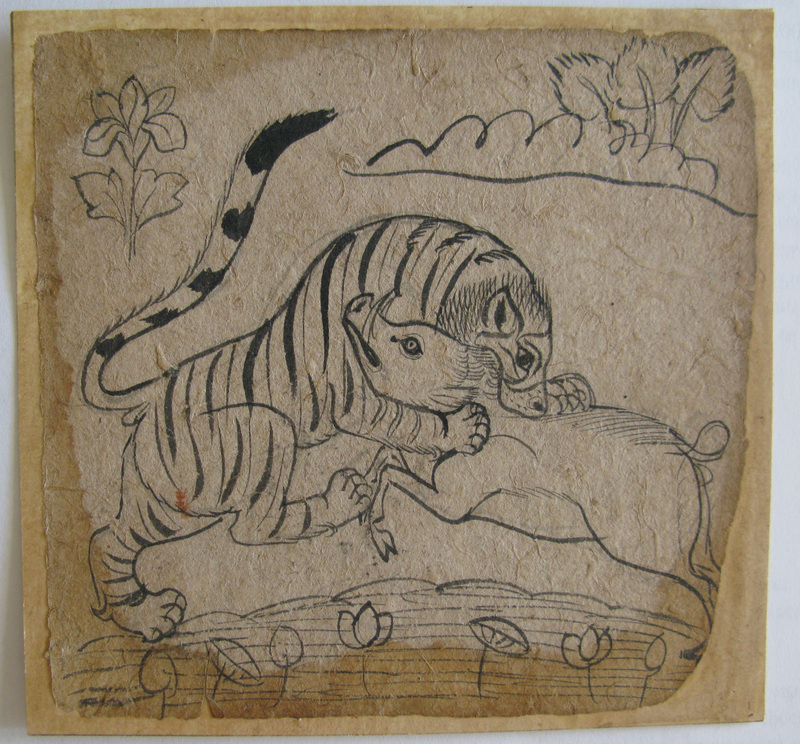 The drawings are preparatory sketches for Indian miniature paintings and range in date between the seventeenth and nineteenth centuries. These exquisite examples of Mughal art are rare survivals of the period, and they shed light on the techniques and drawing practice of miniaturists.